I know simplification can be a problem if we don't understand what it is and everything it comes with it... but if we truly understand that simplification doesn't mean we are going to live in a perfect world and we still have to face trouble because of the exceptions... can be a great tool to work with and can be very beneficial for our students. 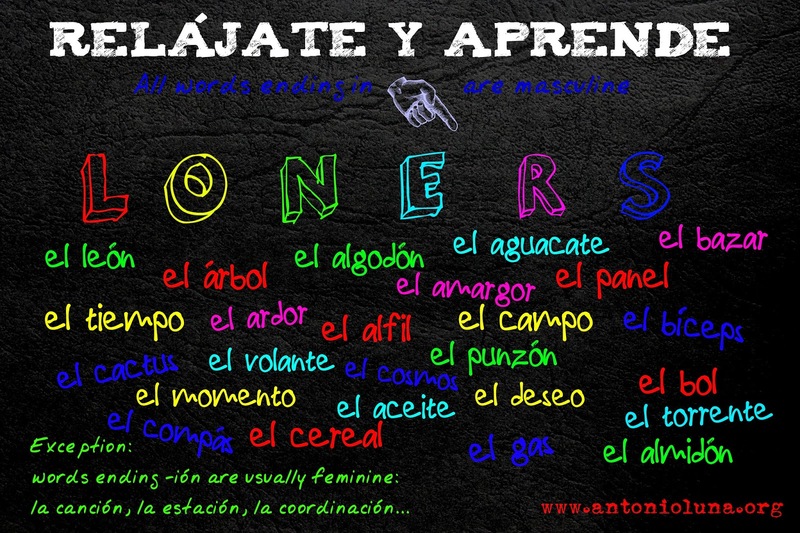 This poster strives to be a colorful resource to remember our acronym: LONERS for masculine nouns in Spanish and also provides examples for each ending. Matching colors are a great strategy for visual learners to remember things. If a word ends in l,o,n,e,r,s it's almost always going to be a masculine word in Spanish. Don't put a limit on anything. The more you dream, the farther you get.